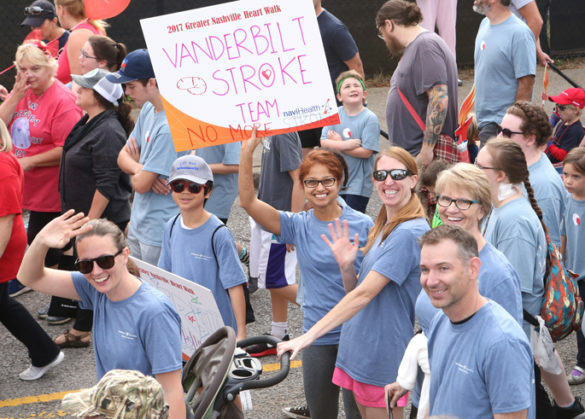 An estimated 8,000 participants enjoyed a sunny sky, warm temperature and live music during the 25th annual Greater Nashville Heart Walk on Saturday, Oct. 14. The annual fundraising event held on the Vanderbilt campus has raised $1.7 million to date. Proceeds from the walk help support public education about heart disease and fund important cardiovascular and stroke research.